If the idea of touring the world from your own kitchen sounds silly, you’re right. You have to make a stop at The Kroger Co. Family of Stores first — then the culinary adventure can begin. 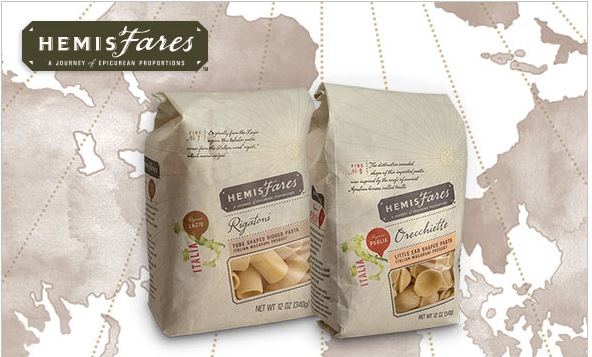 Set out on a journey of epicurean proportions with the stores’ NEW HemisFares™ line. Let them guide you through a series of numbered finds they’ve marked as the best tastes in the world. If you’re ready to uncover authentic regional specialties and discover just how far your taste buds can take you, the first stop on the HemisFares™ tour is Italy! From Campania, Italy, this long pasta was first made by twisting a pasta thread around a fuse or a spindle. 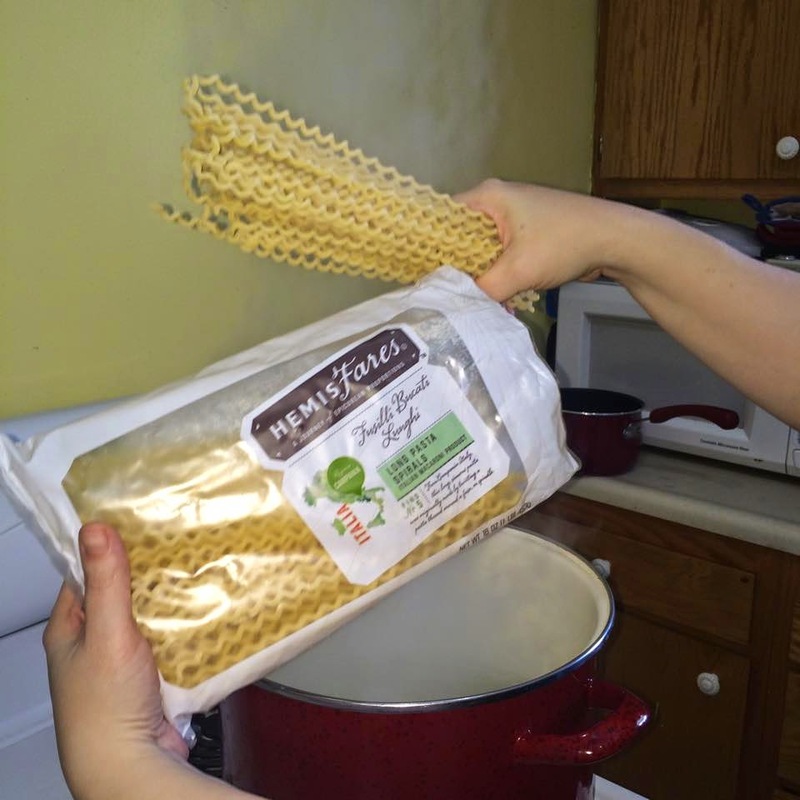 All of the HemisFares™ dry pastas are made by local, artisanal producers in Italy using traditional Gragnano style methods — the highest quality production process for pasta. The machines they use cannot produce more than a few hundred pounds of pasta an hour (compared to tons of pasta at industrial companies). 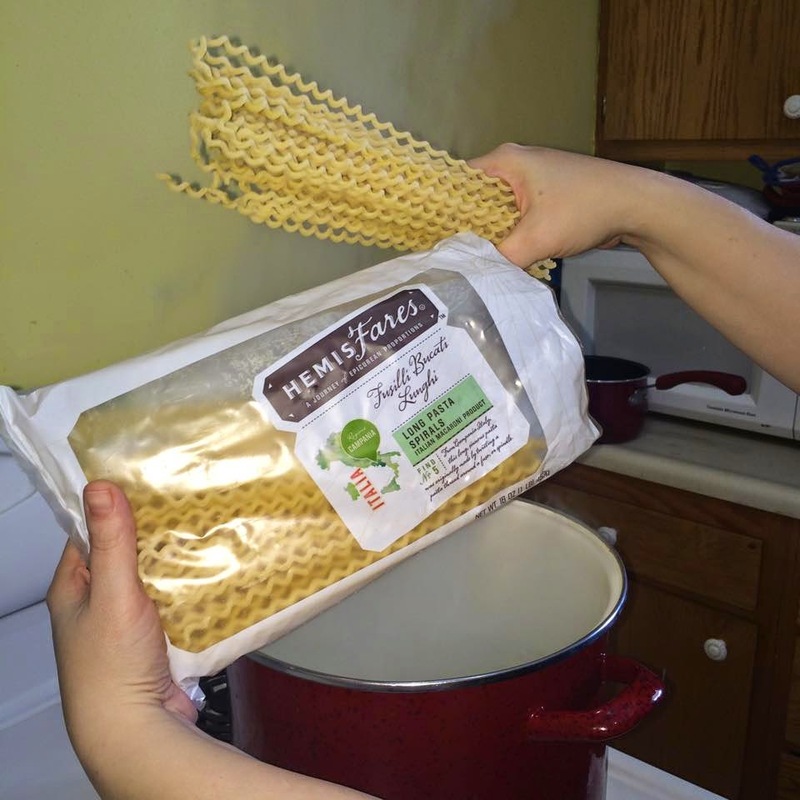 The pasta is then dried for 12–14 hours (compared to 4–6 hours) at a lower temperature to preserve the authentic flavor and natural nutritional value of the wheat used. Heat oil in a large heat skillet over medium heat. Add guanciale (salt-cured pork jowl) or substitute bacon cut into 1” slices, and saute until crisp and golden, about 4 minutes. Add pepper flakes and black pepper; stir for 10 seconds. Add onion and garlic; cook, stirring often, until soft, about 8 minutes. Add tomatoes, reduce heat to low, and cook, stirring occasionally, until sauce thickens, 15-20 minutes. 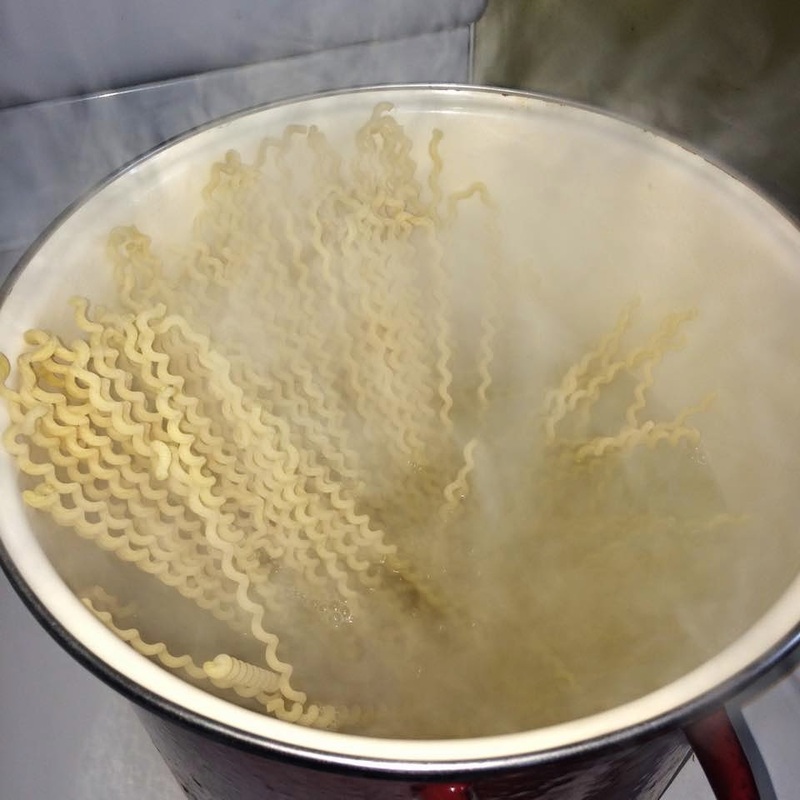 Meanwhile, bring large pot of water to a boil. Season with salt; add the pasta and cook, stirring occasionally, until 2 minutes before al dente. Drain, preserving 1 cup of pasta cooking water. Add drained pasta to sauce in skillet and toss vigorously. 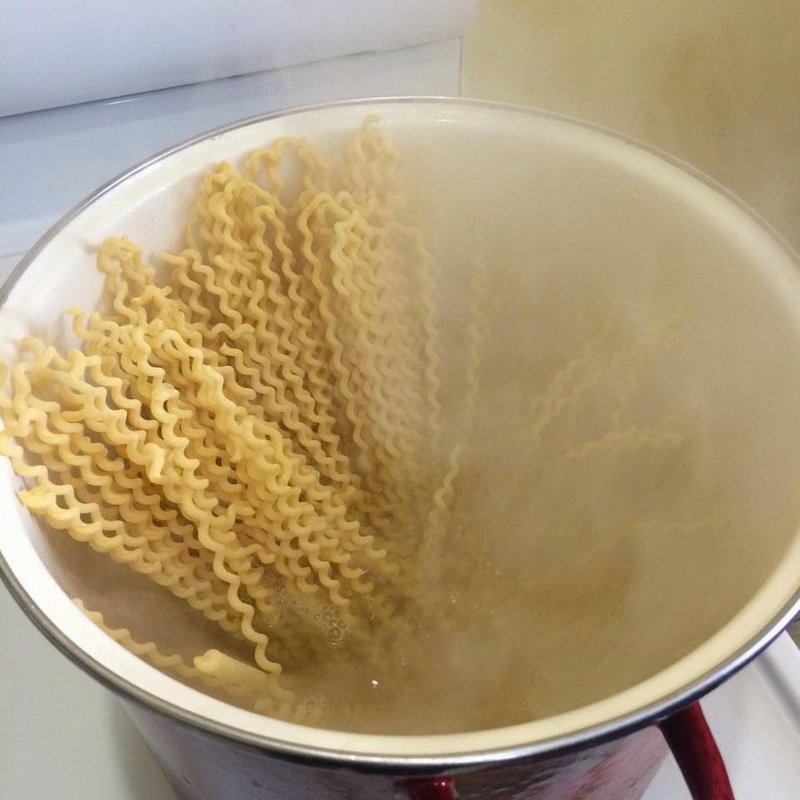 Add ½ cup of the reserved pasta water and cook until sauce coats pasta and pasta is al dente, about 2 minutes. 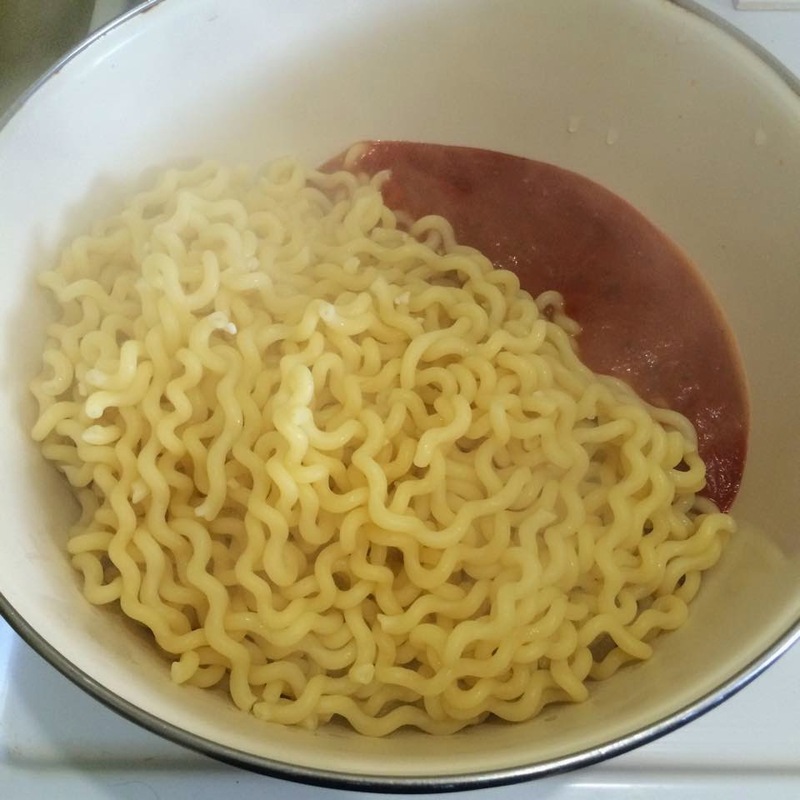 Add a little pasta water if sauce is too dry. Stir in cheese and transfer pasta to warmed bowls. Wash and clean the turnip tops, select the small leaves and the baby leaves; also keep the tender stalks. Boil them in salted water; 7-8 minutes on high flame. Once cooked, drain the turnip tops and in the same cooking water boil the Orecchiette. In a sauce pan saute the turnip in oil along with garlic, anchovies and the chili pepper, saute until the garlic is brown. Once the Orechiete are cooked al dente, drain and add them to the turnip tops. 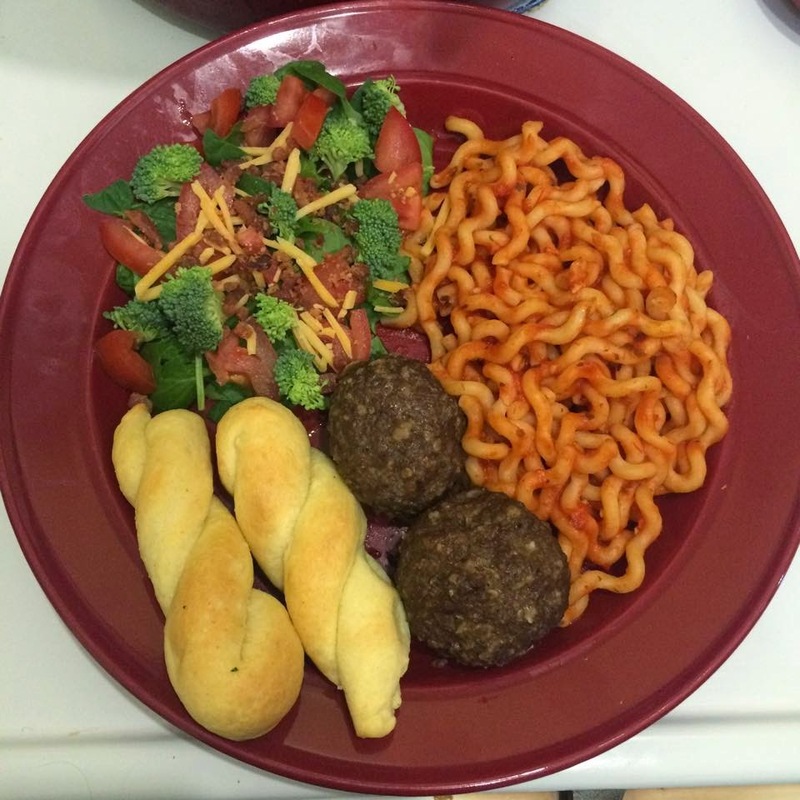 Saute everything together for 2 to 3 minutes. 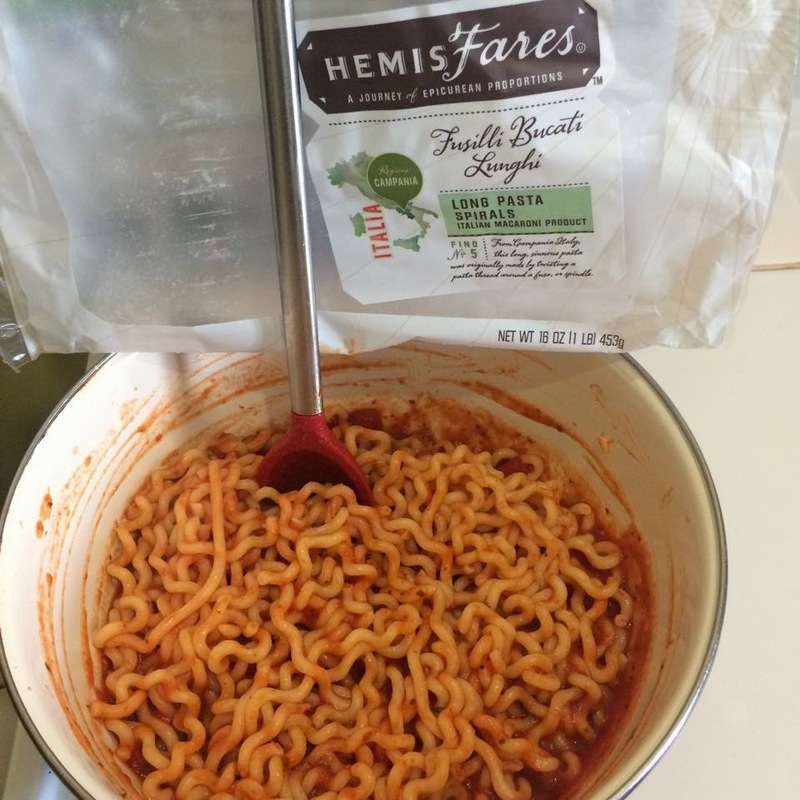 I was happy to get to try HemisFares Fusilli Bucati Lunghi Long Pasta Spirals. 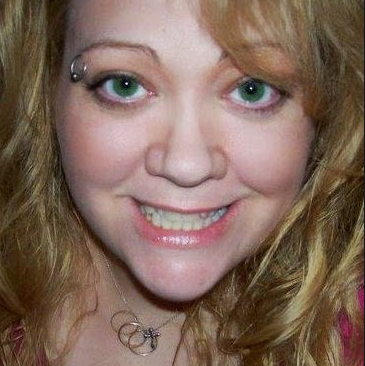 First of all they are very fun looking! That made the little girls interested right away, so we decided to cook them that night. Since it was the first time trying this pasta, I thought it best to use a red sauce and nothing more added to the pasta so we could judge the pasta on its own. 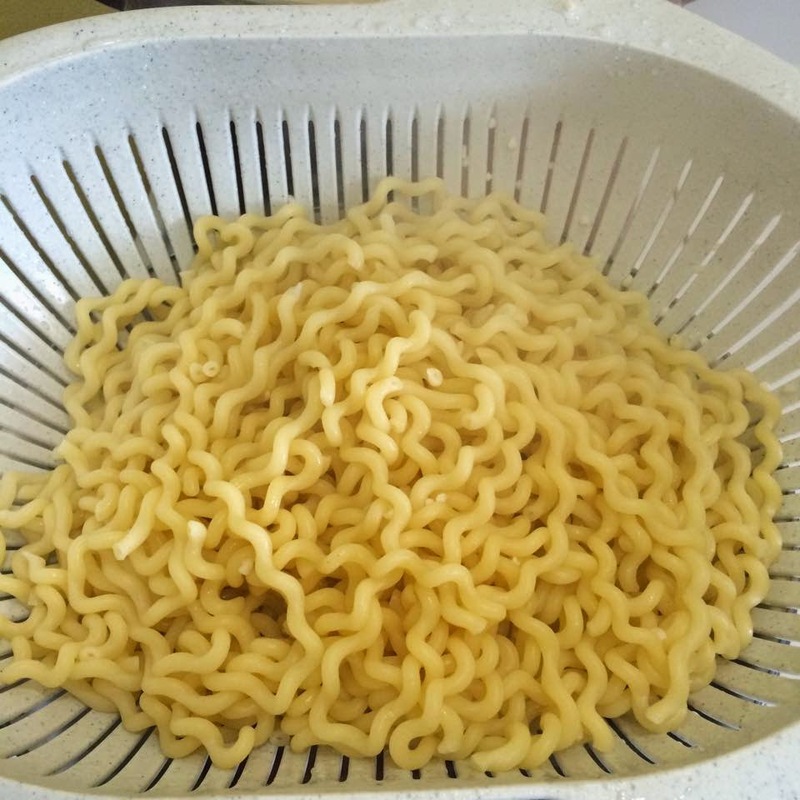 It looks like it is a thick pasta and would feel like that in your mouth, but it surprises you because it is hollow and tastes actually pretty light. I really liked that. 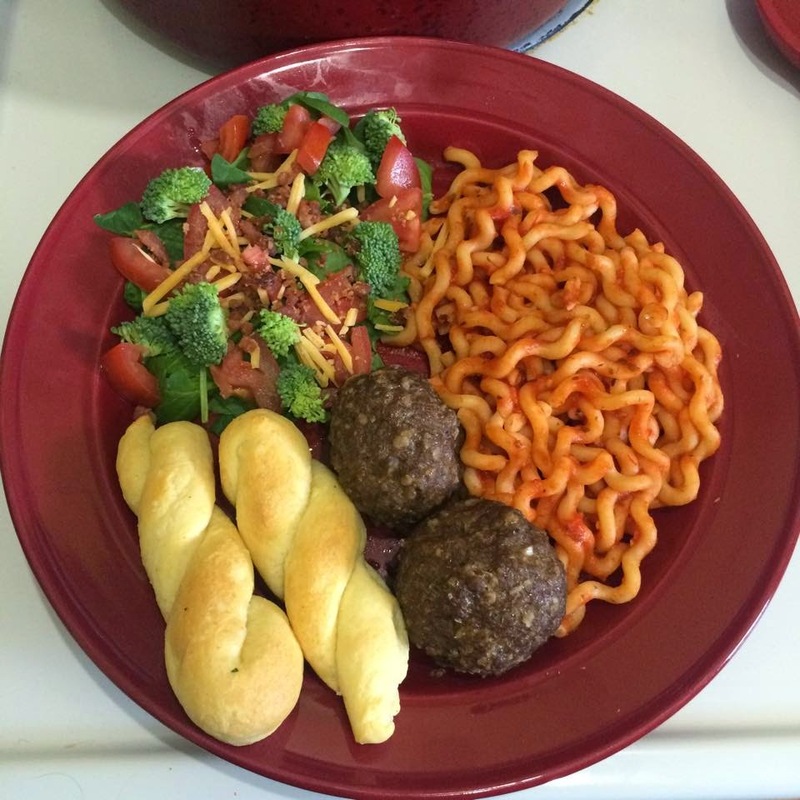 The pasta cooked up nicely and we all tasted one right out of the strainer and enjoyed it. The taste is more like a fresh pasta than any dry pasta I have had previously. 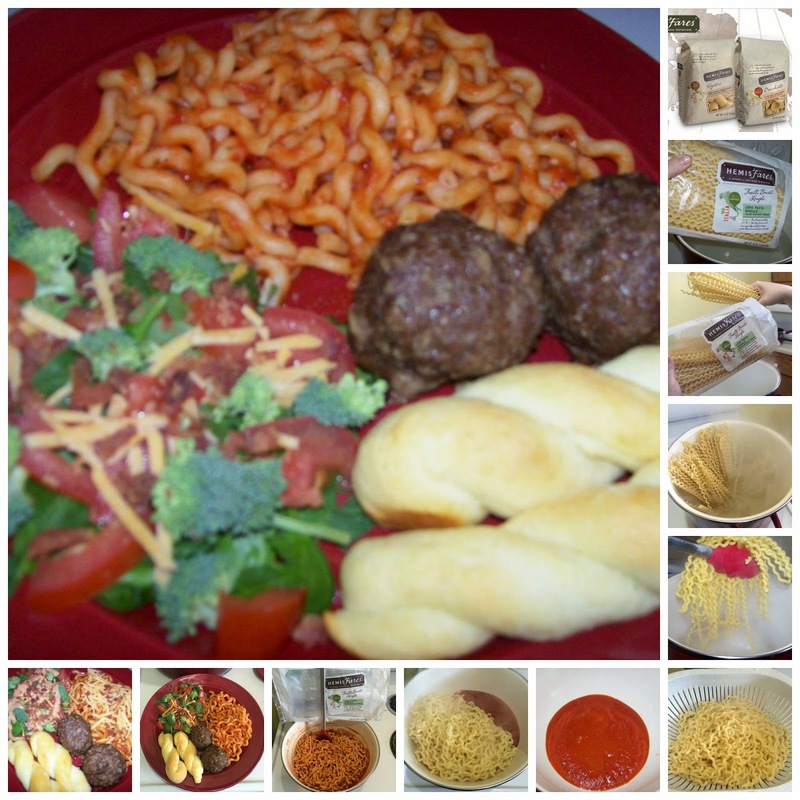 I like that the wheat used seems to be a better quality than other dry pastas I have tried. 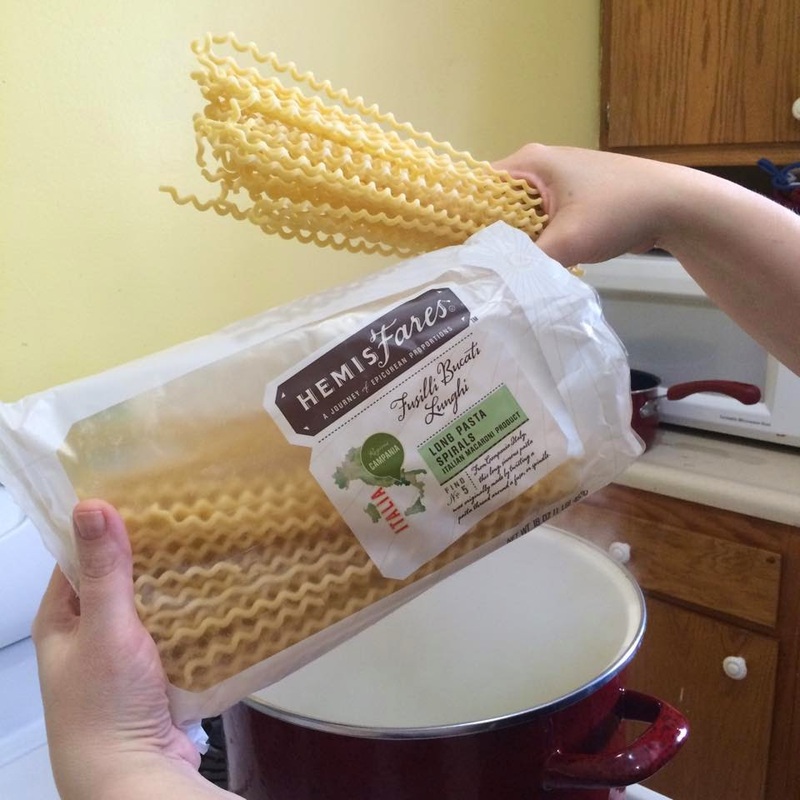 My whole family enjoyed this pasta and we will be looking for HemisFares brand again. I recommend it. That looks amazing!!! I think I'm going to try some of that tonight!